We’ve learned that one of the cornerstone requirements in that effort is a mobile app that will allow you to manage, monitor, and print on your 3D Printer from your smartphone. With the help of our loyal Kickstarter backers, our engineers have been squashing bugs and improving AstroPrint Mobile for the past couple of months. After a lot of improvements, AstroPrint Mobile is finally ready for it’s FIRST public unveiling. Today, we are officially launching AstroPrint Mobile (in PUBLIC BETA) for both Android and iPhone. 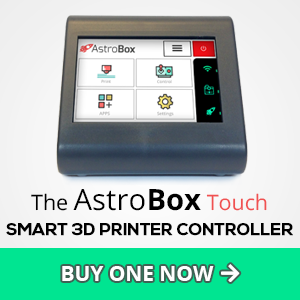 So, what can AstroPrint Mobile do? Like everything else, AstroPrint Mobile’s File Manager will be always in sync with your AstroPrint Cloud’s File Manager. To access these options, simply SWIPE LEFT on your designs and click on the three dots. This will open up a context menu on the bottom and let you perform any of the actions mentioned above. Without the ability to visually inspect your print bed, in our opinion, a mobile app is fairly useless. At the moment, you can visually inspect your print bed anytime by taking a quick snapshot. In addition to visual monitoring, you can also monitor key temperature readings (like print bed, extruder) as well. Side note: Real time video streaming is NOT yet available on the mobile app. We are working on implementing live video streaming in a future version of AstroPrint Mobile. Meanwhile, enjoy live video streaming via a browser on the cloud. One of the most useful features is push notifications. With AstroPrint Mobile, you’ll be able to receive push notifications when your print finishes. As of today, that’s the only push notification that’s available on AstroPrint Mobile. Based on interest, we will certainly consider adding in push notifications for other printer events. In order to save you additional time in your workflow, you can also access your most recently printed designs in the PRINT HISTORY section of the mobile app. In the PRINT HISTORY section of the app, you can also sort your designs by the most recent, oldest, finished prints, and canceled prints. Most importantly, you can re-print designs directly from the Print History section with convenience. The ACTIVITY section under PRINT HISTORY will show you interesting statistics about your print history. We are planning on improving the analytics section in the future as well. 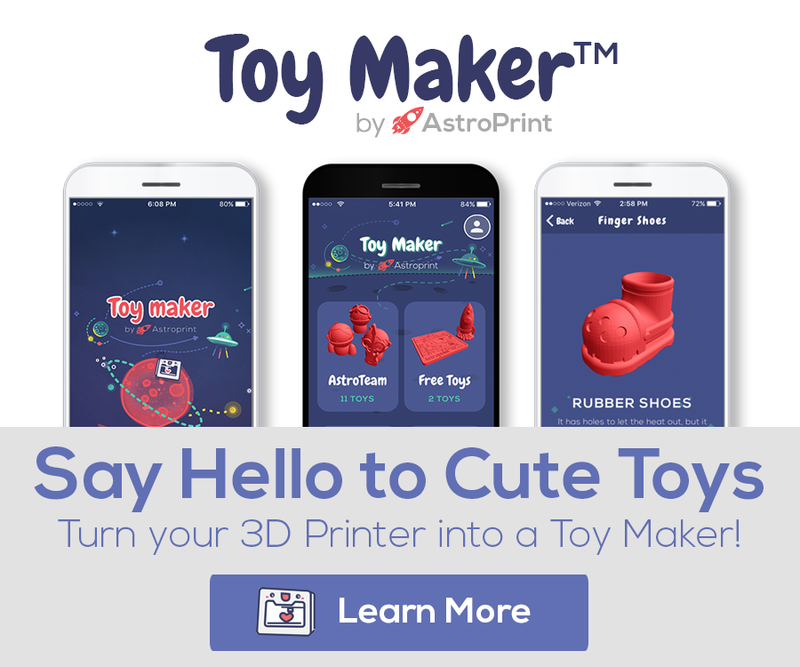 In addition to your cloud dashboard, the Thingiverse app in the app marketplace is accessible on AstroPrint Mobile. This means that you can you search thousands of 3D Printable designs and start printing immediately from the app. Normally, one would have to navigate to Thingiverse on a web browser, search for a design, download a design, slice that design, then upload the GCODE to a 3D Printer to start the print. With AstroPrint mobile, we have condensed that workflow down to just 2 steps. All you need to do is search for a design, and start printing. If you do not want to print immediately, you can also import the design into your AstroPrint Cloud File Manager and print it later. Side note: At the moment, if you have a Thingiverse account, you won’t be able to sign in and access your own design files. While it is currently not on our development roadmap, we will consider adding this feature in the future if there is enough demand. In a nutshell, that’s how AstroPrint Mobile works. If you have any suggestions on improving AstroPrint Mobile, please let us know via our forums or twitter. We make a concerted effort to incorporate your feedback into future iteration(s) of AstroPrint Mobile – your feedback is what drives our platform. Thanks!